Anyway, what a great adventure you are having for your first foray as nomadic travelers! Tulum sounds like an excellent place to balance economics, weather, light packing requirements, and learning opportunities; having friends there is a huge bonus, too. 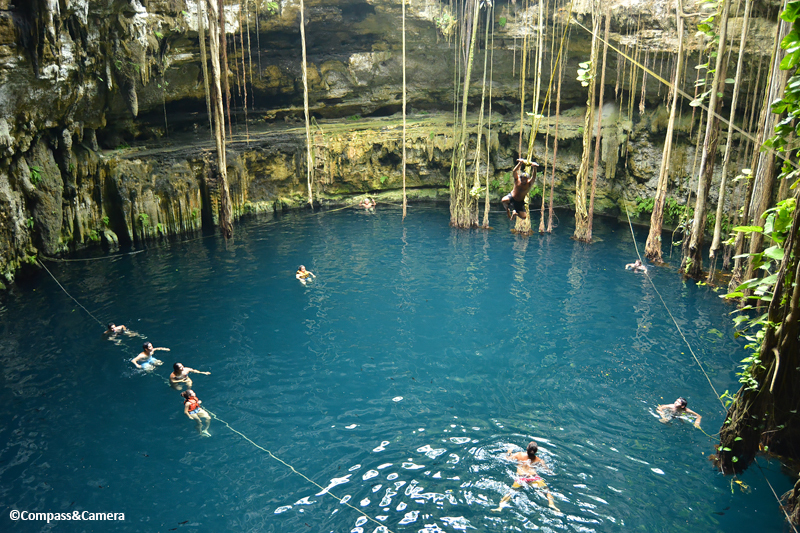 I know I’ve commented on your cenote swims on Instagram, but it bears repeating that you are very brave to keep immersing yourself in those scary earth-holes. I found them intriguing and eerily beautiful, but one long swim through the tunnels was enough to last me a lifetime! Looking forward to seeing where your wandering takes you next and hoping one of those places overlaps with where I am at the moment! Hey! SO… cheap tacos and “scary earth holes” (ha ha!) kept us fed and busy for a few weeks and we enjoyed Tulum a lot. We followed that with some time in Colorado and a work trip to Lake Tahoe for me (J is enjoying a few months off as a trailing house husband and man of leisure). On our last day in Tahoe, we heard about a little cabin up for rent just a short walk from the beach. We checked it out and decided it was to good to pass up! So here we are, lakeside for the coming six months (at least). This opportunity eclipsed our plans to be nomads for the rest of the year — something that took us completely by surprise. We still have a trip planned to Paris and Bavaria for a month in Nov/Dec. so we’ll still get to wander a bit. But for now… morning kayaks and evening sunsets (with wine!) are the features of the day. Come visit and hike in Tahoe!! We have plenty of room and the lake is calling! Wow – how exciting! I love that your minds are open to all possibilities, and that your jobs allow for that kind of flexibility. I have never been to Lake Tahoe (what?!) and I have heard it is just gorgeous. And a cabin by the lake … I am sighing with vicarious pleasure just imagining it. We’ve got big plans for the next month (including a Colorado wedding for our son! ), but I will keep your offer in my head for later, you can be sure! Your Paris/Bavaria trip sounds great; I love Europe in the wintertime – so much more relaxed than the summer. Thanks for the update – I’ve been so curious about your direction these days! Love this whole post with your captures of a historic Travesia Sagrada and your description of what would absolutely terrify me — cenotes. You’re brave to become a nomad, but also one who is reaping rewards far beyond what most of us get to experience. Looking forward to more posts! Thank you! And sorry for the late reply to your comment. Summer is so busy and our nomadic plans have taken a small, unexpected (and welcome) pause in Lake Tahoe! More posts from here soon. Hope you’re enjoying the summer! What a wonderful post: I feel like I am getting to know more about this place you are discovering and the nomadic lifestyle you’ve adopted. It sounds like a gift in time you are giving yourselves, for whatever it turns out to be. Enjoy! P.S. Just landed in Vancouver under sunny skies. Beautiful place too! Hey! How did you like Vancouver? Your Instagram posts were beautiful! Looked like you were enjoying it and had good weather. Thanks for your comment here — I’m super late in replying! Summer has been full of movement but we’ve landed in Lake Tahoe for a short while. More on that coming soon! So good to hear how you’re doing, and *what* you’re doing. 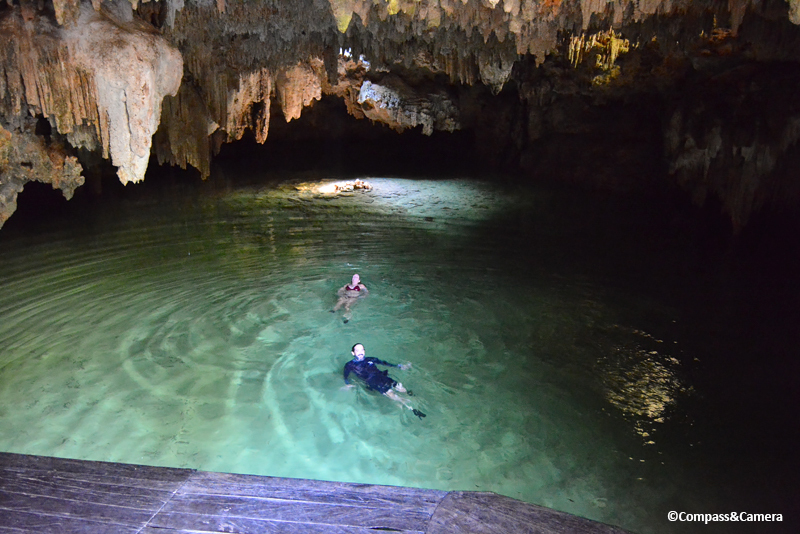 We did the underground river/cenote thing too – yes scary, but exhilarating! We spent 6 weeks at Playa but never got to Tulum. I think we decided that the more prominent Mayan ruins would be enough (Ek Balam, Chichen Itza, and a couple of others). So good to hear you’re loving it. 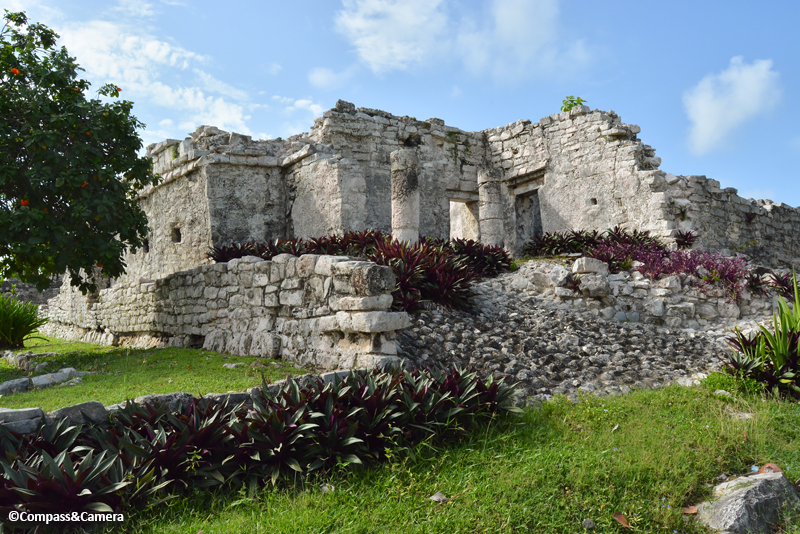 Have you been to Akumal yet? You can swim with turtles there. I wouldn’t be at all surprised if there was a past life connection for you with the Mayan culture. I’m back from my travels and summer has finally landed here. Enjoy your latest adventure! Thanks for taking us along too! We love your blog posts and photos. BRENDA! How are you??? So lovely to hear from you! How’s your summer? Thank you so much for reading my blog! Thank you for your comment! I’m sorry it’s taken so long to reply to you (and everyone else here). Summer has been very busy, as it is for all of us these days. And we’ve unexpectedly (but pleasantly) paused our travels and wanderings in Lake Tahoe for a few months. An unexpected opportunity came up to rent a cabin by the lake so we said YES. Loving every minute and looking forward to writing from this serene location. Hope you and Frank are doing great despite the smoke that is everywhere, including here. Thanks for getting in touch! More posts coming soon! xoxo, K.
I love how that ancient community was built with a wall against the sea. I’m a friend of Patti’s who’s in the Yucatán now. Last year in Tulum I took a Spanish language immersion course and am back again to put it my year of study to practical use. I also jumped on a cenote or two, and agree they are a bit spooky! Love this, Kelly! Fifteen years ago I too was a different person. I have always appreciated ancient ruins, but I wasn’t as interested in history and culture as I am today. The Travesia Sagrada looks fascinating! It’s always heartening to see how people nowadays are embracing their long-lost cultures again, which are often packed with wisdom and virtues worth re-learning. Your description of the cenote swim reminded me of my experience crawling inside the tunnels used by the Viet Cong during the Vietnam War. It was certainly not the best place for claustrophobics. Can’t wait to hear where your adventure takes you next! Bama! Thanks for your comment. I’m so sorry it’s taken so long to reply. It’s been a busy summer with a few surprises! Anyway — you will love exploring the Yucatan peninsula. Whenever you go, plan to spend plenty of time. 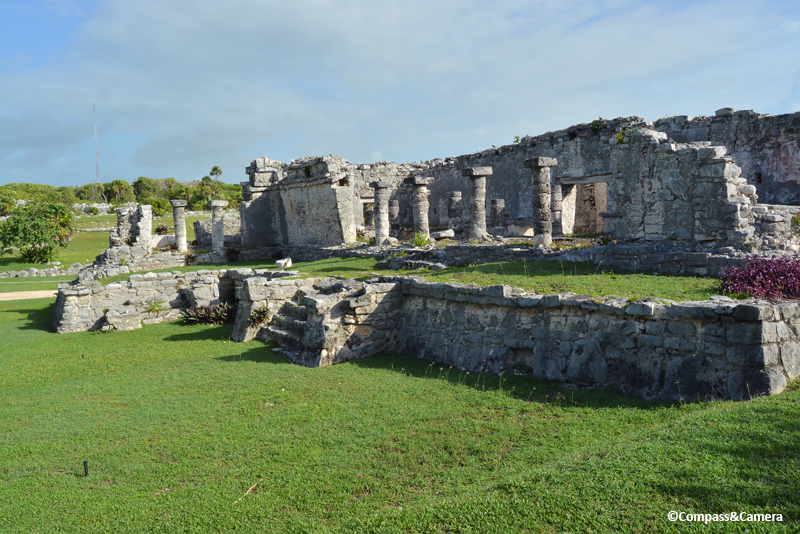 There are so many ruins and cenotes and a lot of great food, too. I found a new appreciation for handmade tortillas and habanero peppers. Who knows, maybe we’ll meet up somewhere! We’re currently back in Lake Tahoe. As we were planning our fall/winter travel, an unexpected opportunity came up to live in a cabin at Lake Tahoe about 100 steps from the beach. We couldn’t pass it up — this just never happens here. We’re loving every minute and hoping this can be our new home base to hold on to and return to as we keep exploring the world. Come visit! Enjoy the weekend! ~K. Kelly, that is amazing! Having the lake in your front yard gives you a lot more inspiration, doesn’t it? I hope by the time I get the chance to visit the US you’ll still be living in that corner of the country, and I’ll surely drop you a visit. Have a great Sunday to you too! Great to read that you are embarking on a nomadic lifestyle. 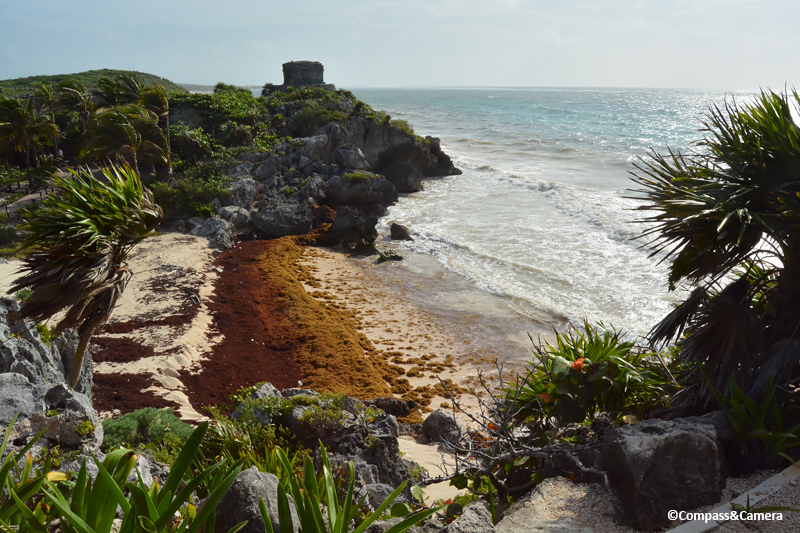 I have never been to Tulum but have meant many people that have and it always sounded rather alluring. Sad to read that the beaches are full of rotting algae, hopefully that is a temporary situation and not a permanent one. Also sad when places get too popular and then they grow so much that the original authenticity and charm get lost. 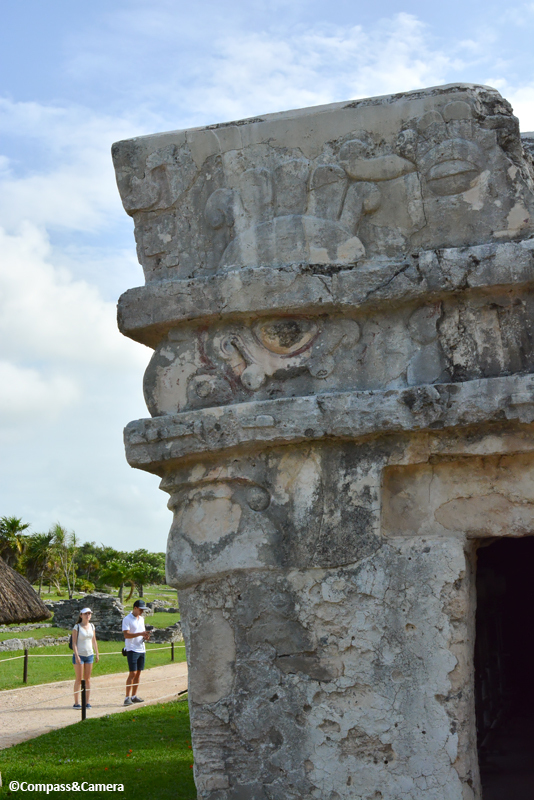 Super interesting about the Mayan culture history and ruins. I loved exploring Tulum many years ago and your post brings back fond memories of swimming in cool green cenotes, eating tropical fruit on beaches no one knew about back then, and being able to wander all around ancient Mayan ruins which had yet to become tourist attractions. How much things have changed in the Yucatan Peninsula since then. I have such admiration for the way locals throughout Mexico have tried to hold onto their pre-Columbian roots while living in modernity. Now that the elections are over, it remains to be seen how the country progresses in the face of all its challenges. I hope you and your husband are enjoying the relocation. How lovely to read this, and see photos of this place we went to five years ago. 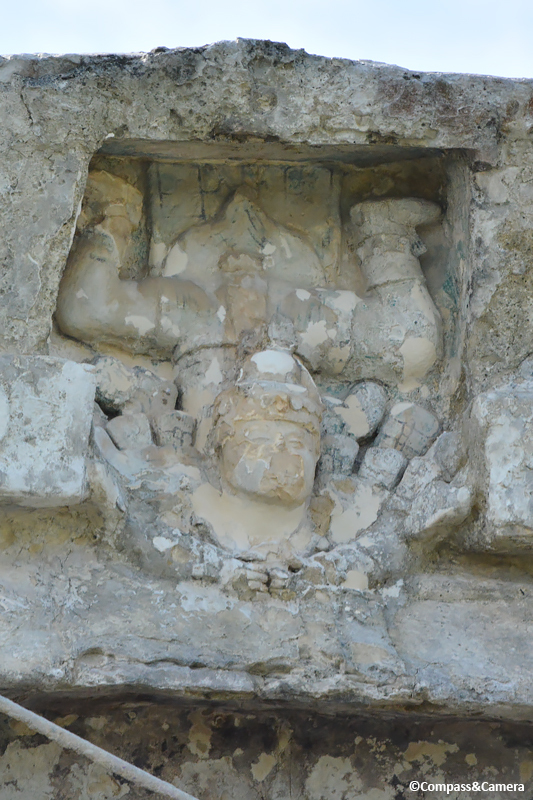 I had this incredible strong feeling in the ruins of Tulum and also Ek Balam that I had been thete/lived there at one time. Wonderful post. Angel! Thanks for your comment, and sorry for such a late reply. It has been a busy summer with a couple pleasant surprises, including Lake Tahoe! More on that soon. 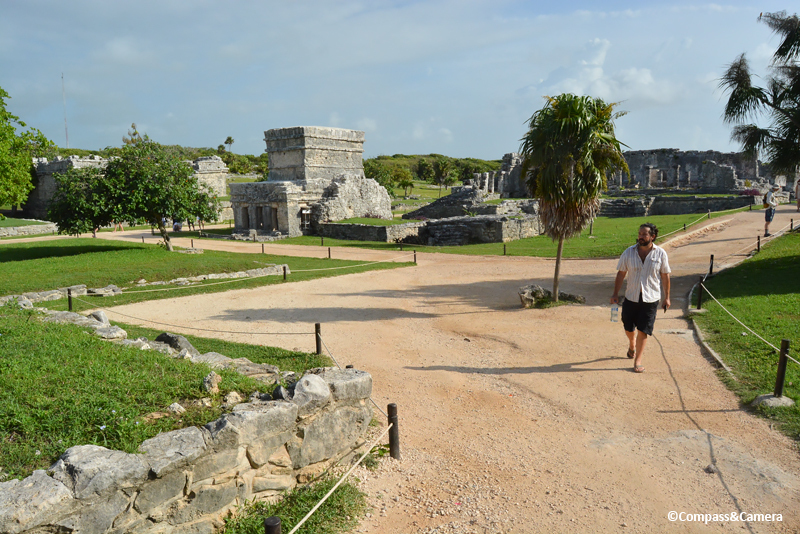 Love that you had such a strong feeling of having lived at Tulum and Ek Balam. I wouldn’t be surprised given your affinity and love for the country and culture. Surely it comes from a deep place of familiarity and experience. Very cool to think about. Thanks for reading and great to hear from you! This looks like a wonderful place to try to find answers to some of those persistent questions, Kelly. Thank you for the introduction to Tulum. I hope you are, too, Kelly! Terri, thanks so much for your comment! And I’m so sorry it’s taken so long to reply! I’ve been trying to catch up on my reading and writing today as you’ve probably noticed on a few posts of yours. I love your thoughts about home-free not homeless, and encouragement to wander the earth. Excellent advice! 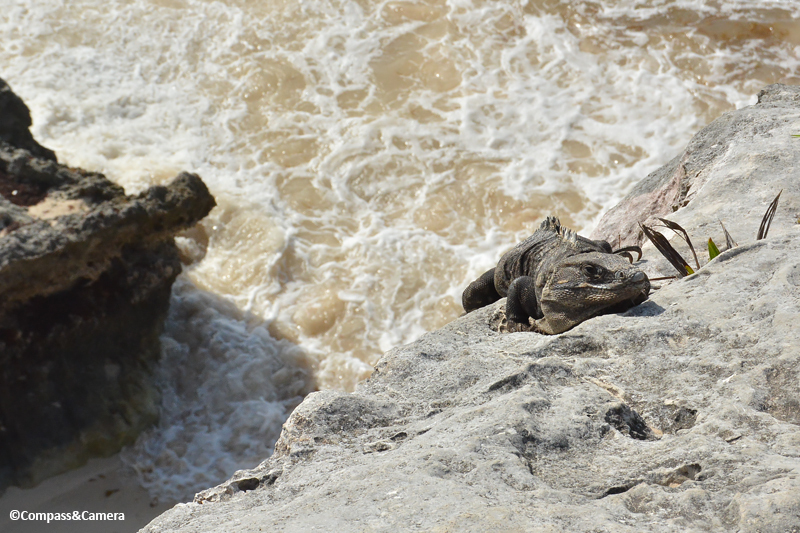 However… While setting out to do that beyond Tulum, we received an unexpected (once in a lifetime?) opportunity to rent a cabin (affordably) with a lake view and beach access at Lake Tahoe. What’s that saying? Life is what happens when you make other plans? Well life has changed the plan but we decided the situation was too good to pass up so we just said yes. We’ll be paused here for six months. Beyond that, we’re not sure but until then we’re enjoying every moment of this serene, beautiful spot. Hope you and James are doing well and loving life, as usual! And if you’re ever in the Tahoe neighborhood, please let me know!! Would love to spend some time with you both. ~K. Incredible photos and just a fantastic post ~ the life of a nomad, running into adventures wherever they go…perfect.